AT&T agreed to buy DirecTV for $48.5 billion on Sunday. On Monday morning, the companies held a conference call with investors, emphasizing that the deal means more broadband and a greater range of options for customers. AT&T’s broadband TV, cellular, and fixed-line phone-service packages would benefit from a deal with DirecTV, the biggest US satellite TV provider, said AT&T CEO Randall Stephenson on the conference call. Further, the deal would give AT&T the opportunity to take premium content and deliver it over multiple points for the customer, such as smartphone, tablet, TV, or laptop, he added. And DirecTV’s 20 million US customers could for the first time receive broadband Internet as part of their service. A statement from the companies also emphasized what they see as the deal’s benefits: more high-speed broadband competition for 15 million customers; stand-alone broadband; nationwide package pricing on DirecTV; and net neutrality commitment. AT&T also noted that one of the deal’s perks will be the addition of the NFL Sunday Ticket package, although that deal will expire at the end of the upcoming NFL season. "This is a unique opportunity that will redefine the video entertainment industry and create a company able to offer new bundles and deliver content to consumers," Stephenson said in a statement. 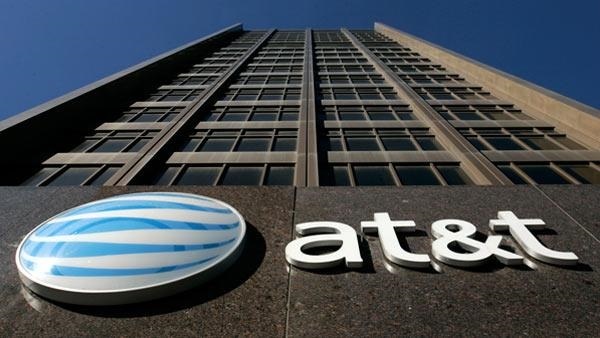 The merger will also give AT&T a larger base of video subscribers — 38 million in the US and Latin America. Mike White, DirecTV’s president and CEO, said in a statement that shareholders will benefit from the enhanced value of the combined company. Employees will be part of a stronger, more competitive company "well positioned to meet the evolving video and broadband needs of the 21st century marketplace," he explained. DirecTV will continue to be headquartered in El Segundo, California, after the deal closes, and White will stay onboard as CEO until he retires in 2015. Some consumer groups are lining up against the deal. "Their prices end up going up when there is less choice, less competition," said Craig Aaron, president of the nonprofit media and technology advocacy group Free Press told ABC News. Delara Derakhshani, policy counsel for Consumers Union, the advocacy arm of Consumer Reports, told Reuters that "you can't justify AT&T buying DirecTV by pointing at Comcast's grab for Time Warner, because neither one is a good deal for consumers." Although federal regulators will scrutinize the merger, Re/code notes it shouldn’t be that hard to get the deal through because there is little overlap between the two companies’ business models. Yet regulators are likely to question AT&T about its U-verse service, which competes with DirecTV. Joele Frank, Wilkinson Brimmer Katcher is supporting DirecTV on comms for the deal, confirmed Annabelle Rinehart, MD at the firm. She declined to elaborate on how it would affect the internal comms team at the company or its agency relationships. Representatives from AT&T and DirecTV were not immediately available for comment. The deal is expected to close in 12 months, the companies said.